On this beautiful day at the very beginning of summer at Christ Lutheran Church in Chetek, Wisconsin in 2014, we prepare to take a look back–and a look ahead–at time, and God’s revelation in time in the Logos [λόγος]. 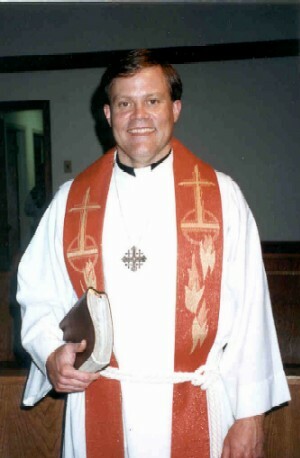 My assignment for the fine people of the Lutheran Ministerium and Synod–USA today, and for the entirety of the Israel of God, the Confessing Church of our Lord Jesus Christ, is to do so with reference to my message delivered to this gathering in Indianapolis in 1996, entitled “Creeds and Confessions as Liturgy.” I am proud that the University of Dayton would later see fit to use this paper in a graduate theology course on the subject. I am equally proud that my last couple of projects for our yearly gatherings have made their rounds around the world, thanks to the marvelous technology of our age. 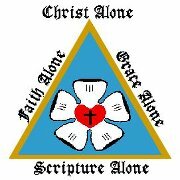 These include “The Famine, The Watchman, and The Remnant” two years ago, and last year’s homily at the concluding worship service of our National Convention entitled, “The Chosen People of God: Who Are They?“. I shall succumb to the temptation to begin with a story. My colleagues in secular media and news commentary refer to me off-camera and off-the-air as The Storyteller. Stories have enabled me to survive in media and in pulpits for many years, because good ones illustrate timeless principles and truths that God reveals to us within time, as a means of understanding transcendent truths and teaching these truths to others who subsequently apply them to their own lives in this mysterious odyssey we call life, lived in linear time and space before our subsequent arrival in the Kingdom of God in eternity past, present, and future. This story only goes back in time to this past Father’s Day evening, June 15th, 2014. I was walking the dogs in my local neighborhood of Northern Hills in San Antonio. Our San Antonio Spurs NBA basketball team, which a year ago blew Game 6 of the NBA Finals–and then the title in Game 7–to the Miami Heat, had just won the rematch on Father’s Day evening by closing out Miami 107-87 in Game 5 at the AT&T Center in the Alamo City. The core theme of this victory in both the national and San Antonio media is one of Redemption. I could hear the celebratory horn honkings, the group cheering of the neighborhood block parties, and the postgame firecrackers and fireworks, in the distant darkness. Although I was thrilled to see the Spurs win the NBA championship, especially after last year’s collapse with a 5 point lead and only 28.5 seconds to play in Game 6, I was suddenly overcome by a strange and overpowering sadness. My first thought was of my late Father, who passed away 5 years ago. He had been a Spurs fan since 1977. We had lived and died together through the fortunes of this storied pro basketball team, and through the ups and downs of the championship seasons of 1999, 2003, 2005, and 2007. I have many memories of those days with him, in his final years. But now on this Father’s Day, the miraculous acquisition of a 5th World’s Championship for the Alamo City suddenly seemed hollow. My Dad wasn’t here to see it, and to celebrate this San Antonio Spurs victory with his longtime Army Air Corps/Air Force golfing partners at the local Windcrest Golf Course. These other boyhood treasures are now also gone, every last one of them. Where did time in this cosmos go? 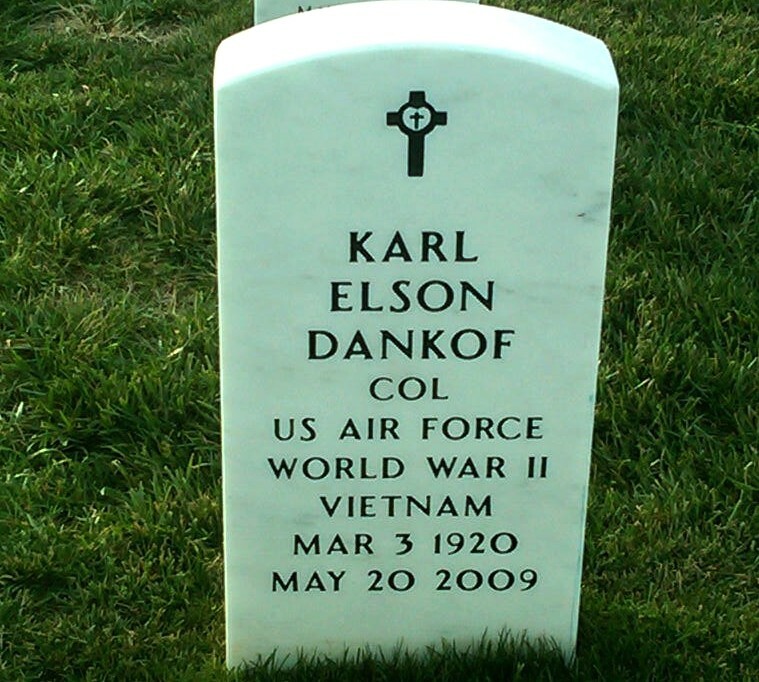 Colonel Karl E. Dankof (USAF, ret.) in section 54, Arlington National Cemetery, Washington, D. C., off Admiral Leahy Drive. There was a second thought in the night as I walked: Thousands, millions of people can be engaged in an NBA Basketball Championship quest. But where are these thousands, millions of souls when it comes to engaging in the study and painstaking search of God’s Word and its timeless truths, as the Holy Spirit of God directs? Coach Gregg Popovitch and Tim Duncan of the San Antonio Spurs after clinching a 5th NBA Title on Father’s Day 2014. In this regard, in my brief lifetime, I have personally witnessed the demise of hunger for the Word of God in American culture and the accompanying demise of Christian morality that threatens our individual and collective survival. It would seem that the Drug and Sexual Revolutions of the 1960s have won. The Frankfurt School’s Institute of Social Research, and the gurus of higher Biblical criticism and impoverished American “Christianity”, have eclipsed the theology and personal piety of Lutheran and Reformed Protestant Christianity in our land, even as I speak today. Our cherished American Republic would seem to have died, only to be replaced by an Empire taking on Beast-like characteristics. Where are we going? What does it mean? Will the America many of us knew in the distant past be absolutely gone by 2025, as Pat Buchanan’s last book seems to predict? Are we truly witnessing the Suicide of a Superpower, and the suicide of the Christian theology and culture of our forefathers? It would seem so. 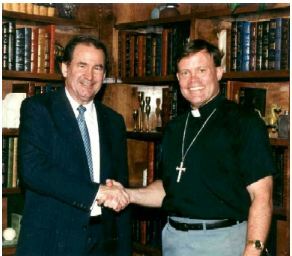 Pat Buchanan and Mark Dankof in San Antonio, Texas. 1995. It was not always so, either in the United States specifically or in the Western world generally. Dr. C. George Fry’s essay on Helmut Thielicke for the Handbook of Evangelical Theologians (Baker, 1993, pages 219-233) documents the hunger of average Germans for the Word of God and the Gospel in the darkest days of World War II. I share this wonderful material with you now, in the firm belief that as the signs point to the impending arrival of an American midnight in these dark days of the 21st century’s advancing onslaught, the experience of German believers and Helmut Thielicke seven decades ago will be used of the Holy Spirit of God to speak to you and to empower you, as the circumstances of advancing time enshroud each and every one of us in the days and nights emerging. Helmut Thielicke: Preaching the Gospel near Midnight in the Stuttgart Cathedral. 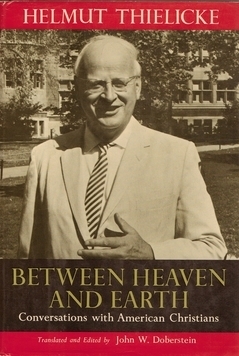 Dr. Fry notes that when Thielicke was ordained as a Lutheran pastor in 1941, it was not at all evident that he would become Germany’s “preacher for apocalyptic times whose teaching had a sense of eschatological urgency” (Handbook of Evangelical Theologians, page 219). The Fry essay tells us that Thielicke’s ordination in 1941 was preceded by his 1940 removal by the State from his initial teaching position at the University of Heidelberg (p. 223). His unemployment only ended due to the courage and grace of Bishop Theophil Wurm of the territorial church of Wurttemberg, who provided Thielicke a pastorate in the little town of Ravensburg in southern Germany, where the Gestapo imposed an injunction which proscribed Thielicke from traveling or speaking anywhere else in the country (p. 223). It is noteworthy that in this time frame, Thielicke’s sole comfort was in absolute immersion in the study of God’s Word (p. 224). It was perhaps assumed that Thielicke would remain in a state of exile not unlike John at Patmos under Domitian (A. D. 81-96), for the duration of his life. As Dr. Fry chronicles this, Thielicke chose basic weapons in the fight to equip his listeners: the Word of God itself and the Small Catechism of Martin Luther. I know these have been my own basic weapons in the fight to equip a believing remnant in the United States since my ordination 30 years ago. But like Pastor Spears, Pastor Erickson, Pastor Thorson, and other faithful teachers of the Word in the LMS–USA, I see no present larger-scale evidence of what I believe will yet come, a renewal of hungering for the Gospel on the part of a larger segment of our communities around the country. What will be the circumstance of this renewal future? It is my belief that the Confessing Church will be re-energized in the Refiner’s Fire of the apocalyptic developments ahead for the United States and the globe in world history. As it was in Germany then, so shall it be with what looms on the political horizon now. 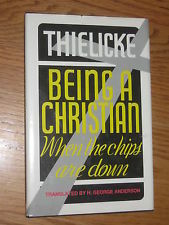 Helmut Thielicke: Being a Christian When the Chips are Down. Is America Nearing Midnight? 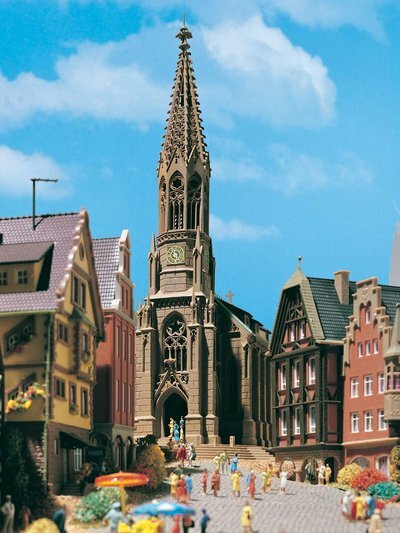 With Thielicke and the destruction of the Stuttgart Cathedral in mind, with reference to the impending threats to our country and the world in the 21st century, let us again turn briefly to my remarks before many of you in Indianapolis in 1996 in Creeds and Confessions as Liturgy. The central question of both 1996 and 2014 is the same one posed by Thielicke 70 years ago to the German people. It is the core question of all of history and eternity alike: Who is Jesus Christ and Why and How did He become the Word [λόγος] Who Became Flesh and Dwelt Among Us? (John 1:14). To effectively answer this question, each and every believer must once again “contend for the faith that was once for all entrusted to the saints (Jude, verse 3).” We can only contend when we are immersed in the knowledge of the Word of God and the Confessions of our Faith as the Holy Spirit of God directs during countless hours of personal and collective study. We must avail ourselves of the Full Armor of God (Ephesians 6). The Word (Logos) is God. John’s witness to the λόγος is repristinated each time we sing the Kyrie, Agnus Dei, or Nunc Dimittis. It is repristinated each time we confess our faith with the Apostles’, Nicene, or Athanasian Creed. We encounter the λόγος in the mystery of the Eucharist tied to the Biblical Words of Institution of Christ. We encounter λόγος in the Old Testament, New Testament Epistle, and New Testament Gospel readings. He is a living reality, yesterday, today, and forever (Hebrews 13:8). We deny λόγος when we bend to the whims of the post-Christian spirit of this dark age, embodied in the false teachers and teachings already enumerated. And what a blessed Biblical witness to the λόγος lies before us in John’s text today and throughout his Gospel! The identity of the λόγος is clearly stated in John’s prologue, even as it is through the entirety of the book woven around 7 Miracles and 7 Discourses emphasizing the linkage of the λόγος to the I Am of the Old Testament (6:35, 48; 8:12; 9:5; 10:7, 9; 10:11, 14; 11:25; 14:6; 15: 1-5.). Jesus Christ, the Logos. John, chapter 1. When we confess our Biblical faith through Creeds, Confessions, and Liturgy, we reaffirm the faith of the ages and “contend for the faith that was once for all entrusted to the saints (Jude, verse 3)”. We stand with our Lord against the false witness of Caiphas, the Sanhedrin, and the mob which called for the release of Barabbas. We stand with the Apostles in witness against the Jewish and Roman opponents of the Gospel in the first century. We stand with the Ancient Fathers and Councils against the 5 heresies of Gnosticism, Marcionism, Montanism, Monarchianism, and Arianism that were chronicled for you in Indianapolis in 1996. We stand with Luther and Chemnitz against Pope Leo X and the heresies of the Council of Trent in the 16th century. And we also stand against the evil forces and developments of our own day. Our Pauline text from 2 Timothy 3: 1-5, and our Lord’s witness to the events of the future preceding his Second Coming in Matthew 24: 3-4 guarantee this. Make no mistake about it. You and I will be challenged and oppressed for our faith in Christ in ways not previously seen or encountered by most of us. To “contend for the faith that was once for all entrusted to the saints (Jude, verse 3)” as our illustrious predecessors did, will require the ongoing presence and empowerment of the Holy Spirit beyond anything we have known before. The Spirit’s leading and protection will be directly proportional to our involvement with the Word and with the Sacrament. Our future pathway in faith in Christ is guaranteed to be the toughest and most taxing journey of our lives, even as the Blessed Return of our Lord stands at the end of that race. H.-C. Hahn notes this in DNTT. The καιροὶ of “the final days” (2 Timothy 3: 1-5) is a “tension-laden time“. καιροὶ is a “point of time, a moment” which “characterizes a critical situation, one which demands a decision, one into which man is perhaps led by fate.” Used in a negative sense, it “implies danger” [καιροὶ: DNTT, vol. 3, pages 833-39; H.-C. Hahn, author; Colin Brown, editor]. We must be convinced, as John was on Patmos during his exile at the hands of Domitian (A. D. 81-96), that earthly exile is far better than experiencing this Second Death. The biggest surprise of the trip—was the return flight to Texas from Dubai on Emirates Airlines, after arriving in Dubai from Durban and waiting 4 hours in Dubai for the connection to Houston. I always prefer aisle seats on aircraft, for easy access to the restroom and to walk around when permitted, especially on flights of 25 hour duration. I had forgotten to request them of Emirates Airlines while in Durban for the return to the United States and managed to be wedged into a window seat in the very back of the Boeing 777, in Seat 50 K. There were 3 advantages to this assignment I had not planned on. The first is that Seat 50 K on a Boeing 777 on Emirates Airlines has one literally right across from the restroom facility, and with easy access to the back of the aircraft to procure additional snacks and drinks from the flight attendants in between peak service times. The second proved to be a delightful encounter with an African American woman from Texas seated next to me, who was a schoolteacher in Dubai. She had a great personality and plenty of inside information on living and working in that locale in the United Arab Emirates. The third was a ringside seat to scenery of my sojourn of many years ago: Iran. Unlike the flight from Houston to Dubai on my way to South Africa, where the plane straddled the Iran-Iraq border as it split the very middle of the Persian Gulf at night on the approach to Dubai (I did see the coastal lights of Bandar Abbas from the left side of the aircraft and my aisle seat of that evening), the return journey took the interested passenger through the heart of modern Iran and ancient Persia. There they were again as I proceeded in a South to North fashion through the central corridor: the combination of clay-colored desert and jagged mountains with occasional snow caps beneath me as I traveled an aerial salient with the Shiraz-Isfahan-Tehran axis to my left (west), and the Kerman-Mashhad axis to my right (east); I followed the plane’s crossing of the Kerman to Yazd railroad tracks below, and then the stark, haunting beauty of the Kavir-e-Lut to the east, followed by the eventual appearance of the Dasht-e-Kavirdesert (The Salt Desert) in the country’s north-central interior. Only one question remained. Would I see Tehran once more after an absence of many years, or would this be the exclusive privilege of the denizens of the left side of the aircraft looking westward as we continued our northern route toward the Caspian Sea? The answer arrived soon enough. I would not witness Iran’s capital from Emirates Airlines Flight EK 211 traveling ponderously at an altitude of just under 30,000 feet in a strange arc from Dubai to Houston’s George Bush Intercontinental Airport in Texas. What I did see in a marvelous panorama as the plane banked slightly was a view of snow enshrouded Mount Damavand (elevation 18,406 feet/Kuh-e-Damavand, elevation 5671 metres) as the aircraft approached it, and finally did a direct flyover. There was another gift of the Divine to me while seated in seat 50 K: when approaching Damavand, I had a brief, but clear glimpse of Lar Valley (Daryacheh-ye-Sadd-e-Lar). 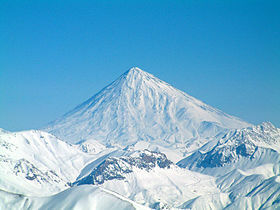 Damavand in Winter, just as I witnessed it on December 14, 2012 on Emirates Airlines. this one sign is enough for us. After passing over Damavand, I looked at my watch and the GPS system screen in front of me in seat 50 K. It was 0210 Central time in Texas in the United States on Friday, December 14th. Tehran time was exactly 1140 on the same day in history. All of a sudden, I was no longer a middle aged man of 57 in transit from South Africa to America. I was a young 19 year old college kid again, fishing with my Father and swapping stories with him at night in the Sadd-e-Lar. I was hiking in the hills at the foot of Mount Damavand in early summer. I was playing center field again on the Air Force Detachment 333 fast pitch softball team playing against the U. S. Army team in the stadium at Gulf District, the American military outpost off Saltanatabad Avenue in north Tehran in the Pahlavi years. I saw myself wandering around in great wonderment in the ruins of Persepolis, searching for the treasures contained in the cities of Isfahan and Shiraz, running the Vacation Bible School for kids in the summertime atmosphere of Community Church of Tehran, embarking on a 7 mile run at 0500 beginning each day from my parents’ apartment in the city, or approaching the tomb of Cyrus the Great at Pasargadae with the respect accorded to one mentioned by the Old Testament repeatedly as a prototype and forerunner of Jesus Christ, the Lion of the Tribe of Judah (2 Chronicles 22-23; Ezra, chapters 1, 3, 4, 5, 6; Isaiah, chapters 44 and 45; and Daniel, chapters 1, 6, 10). 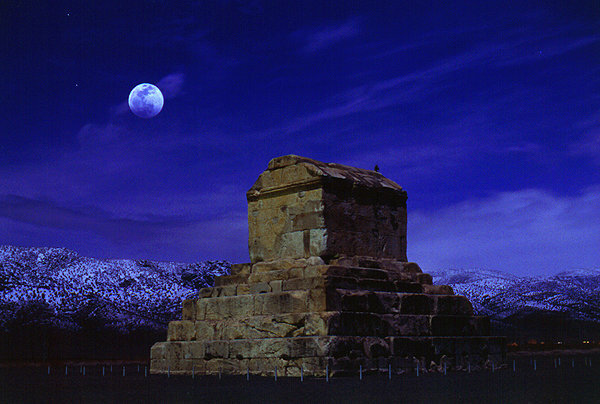 Cyrus the Great’s tomb at Pasargadae, Iran is captured on a winter night most magnificently by the astrophotography of Oskin D. Zakarian of Tehran. It was so long ago. Yet it was only yesterday. And it all came flooding back in a handful of minutes on Emirates Flight EK 211 between the United Arab Emirates and the State of Texas. There was one especially strange manifestation during this brief gift of God 30,000 feet above earth. Immediately upon crossing a brief segment of the Caspian Sea in leaving Iranian airspace, the perfect visibility I had possessed from Bandar Abbas to Lar Valley and Damavand had absolutely vanished. While the GPS screen informed me of the Boeing 777′s impending overflight of Baku, Azerbaijan, a solid sheet of impenetrable white clouds completely obscured any view from above. This sudden departure of visibility continued through the Balkans and most of Europe. Had the Hidden Hand of Creation, Redemption, and theNew Heaven and the New Earth kept this cloud cover north of the Iranian border for an appointed purpose? I was neither irritated nor disappointed in what I did not view from Baku northward. I saw what God wanted me to see, from the humble vantage point of Seat 50 K in Economy Class on Emirates Airlines Flight EK 211. The perpetual movement of Time and the relentless advance of Biological Age in decades speeding by with the speed of light, had momentarily halted. Eternity was in full view, an Eternity firmly in the center of the Kingdom of God, occupied by His Saints past, present, and future. What I witnessed in Iranian airspace on December 14th is a promissory note promising all good things to come for the true Israel of God bathed in the blood of the Lamb. Spring is indeed near. Spring is indeed near, for all the Saints of God on this beautiful day in Wisconsin in June of the Year of Our Lord, 2014. Be sure of this! And may the God and Father of our Lord and Savior Jesus Christ bless you today, tomorrow, and forever (Hebrews 13:8). 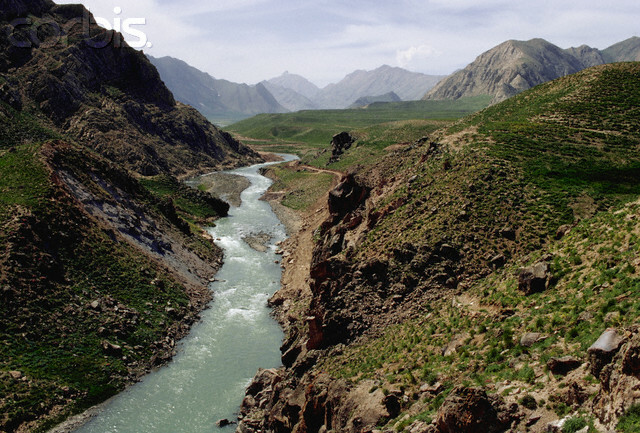 A River Runs Through Iran’s Lar Valley. It presages the soothing presence of the voice of God in the form of “the rush of many waters” (Revelation 1:15). Tagged with Cyrus the Great of Achaemenid Persia, Dr. C. George Fry on Helmut Thielicke, Famine Watchman Remnant, Frankfurt School and the Institute for Social Research, Helmut Thielicke and the Stuttgart Cathedral, Jesus Christ as Logos, Lar Valley of Iran, Lutheran Ministerium and Synod—USA, Mark Dankof's "Creeds and Confessions as Liturgy", Mark Dankof's "The Chosen People of God: Who Are They? ", Mount Damavand of Iran, Olivet Discourse, Pat Buchanan's "Suicide of a Superpower"